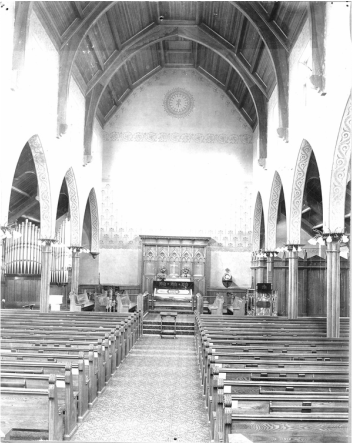 During the first decade of the 20th century the parish prospered under Dr. Schwartz's direction. However, disaster struck struck in 1912. Saturday night, January 6, 1912 was extremely cold. The Sexton stoked up all three of the coal furnaces in the basement of the church in preparation for the next days services. About 2:00 AM January 7, 1912 a fire started from the furnace closest to the rear of the building and moved quickly up the back wall to the roof. 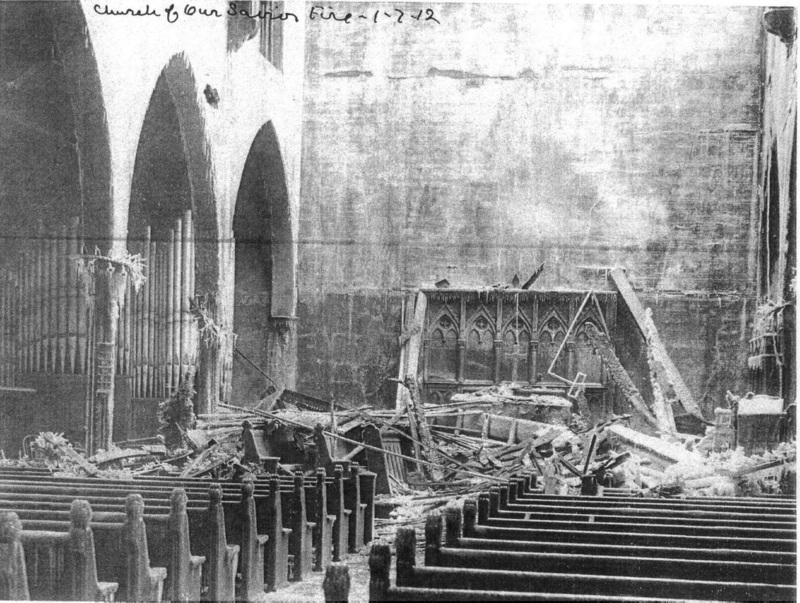 The north part of the building, the roof and the floor were completely destroyed, as well as the organ and all the chancel fixtures. Most of the pews could be repaired and are those still in use.